If you’re not a parent, you may not have been introduced yet to the vast amount of on-trend products from major retailers’ kids shops like Land of Nod (Crate & Barrel), Pottery Barn Kids and PB Teen. I’ll often check to see what they’re up to, not for my daughter, but for myself! Some great stuff, I’m telling you. And likely, cheaper than you’ll find at the parent shops. There are so many other products I’m not including! 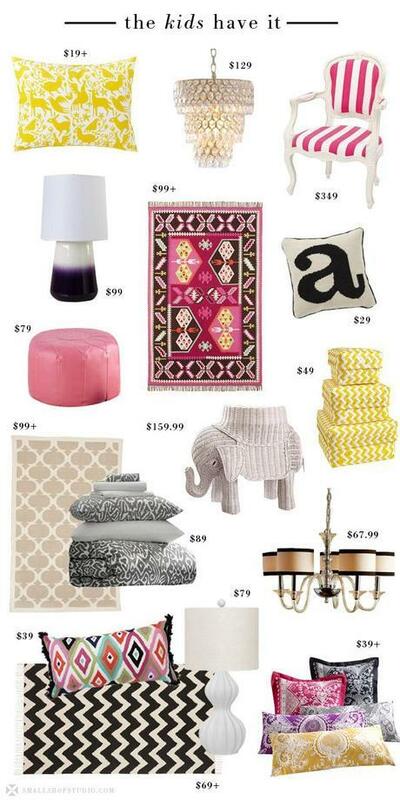 Like I’m kind of obsessed with this blockprint quilt ($129). And they always have great sales, but you have to check the sites regularly as the products disappear quickly!